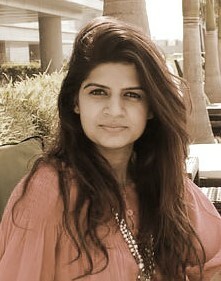 Priya Chhabria, completed her diploma in Apparel Design & Manufacturing from P.V.Polytechnic, S.N.D.T. in 2002. After winning "student of the year" and best surface treatment for her graduating collection at Chrysalis, she won an internship at Sheetal and Sheetal Design studio where she trained and worked under Hemant Trevedi and Aki Narula.Priya´s forte is designing Indianwear for men and women, where she merges Exquisite Indian embroideries with Western cuts to give her collection an International appeal. She has an eye for detail and uses highest quality in luxury fabrics and intricate embroideries to give the client a product that speaks style, elegance and high quality.